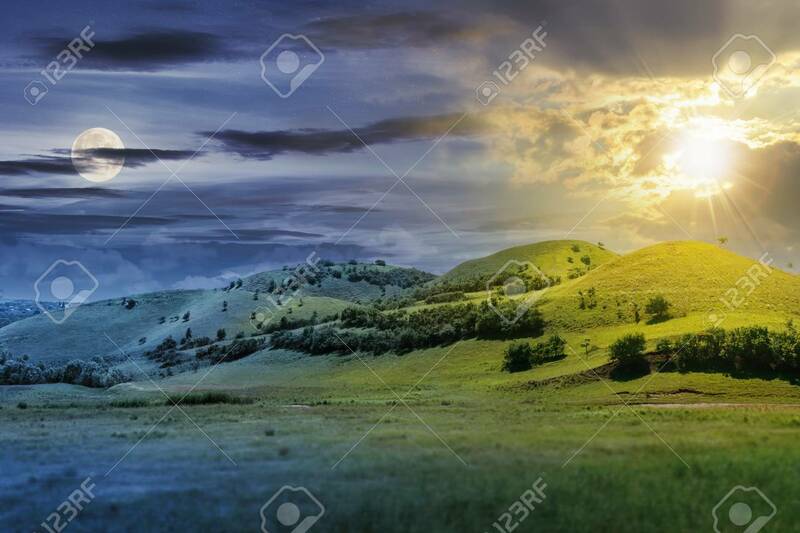 Day And Night Time Change Concept Above Three Hills In Summer.. Stock Photo, Picture And Royalty Free Image. Image 116824714. Stock Photo - day and night time change concept above three hills in summer landscape. beautiful countryside scenery with sun and moon. tilt-shift and motion blur effect applied. day and night time change concept above three hills in summer landscape. beautiful countryside scenery with sun and moon. tilt-shift and motion blur effect applied.